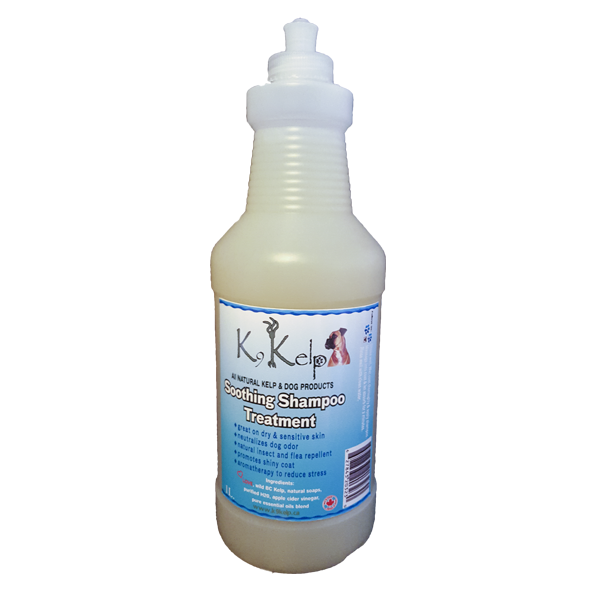 This Kelp Shampoo Treatment is properly PH balanced for dogs and provides a soothing/calming effect while extracting toxins and applying much needed minerals and nutrients to their skin. It is sure to leave their coat shiny and smelling great! 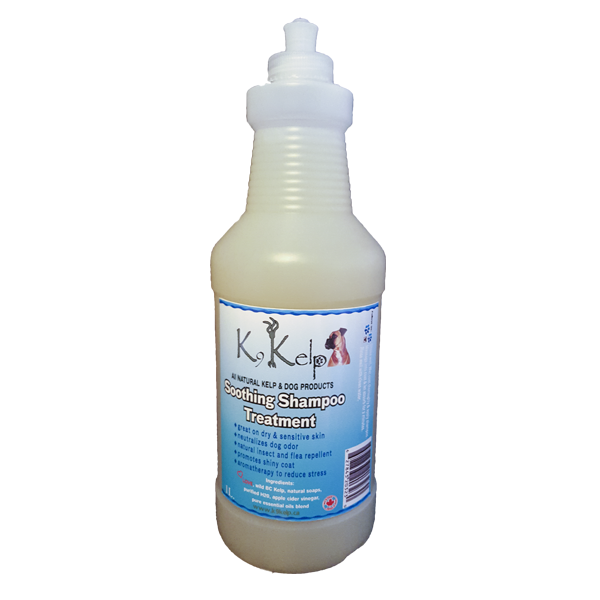 Unlike most lathering shampoos that can leave residue behind to cause more dryness and irritation, this low-lathering treatment rinses cleanly leaving only a shiny coat behind. 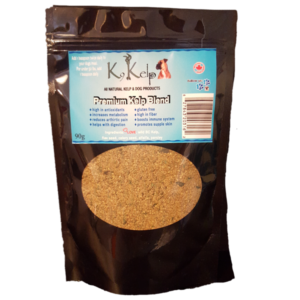 We use apple cider vinegar that helps to naturally and gently loosen dirt without removing your dog's natural coat oils. Wet down coat thoroughly and apply generously. Massage treatment into coat and let absorb for at least 2 minutes. Then rinse well with clean water. Amount of shampoo used will vary based on size of dog and type of coat. For example, a large Boxer with short hair will use approx. 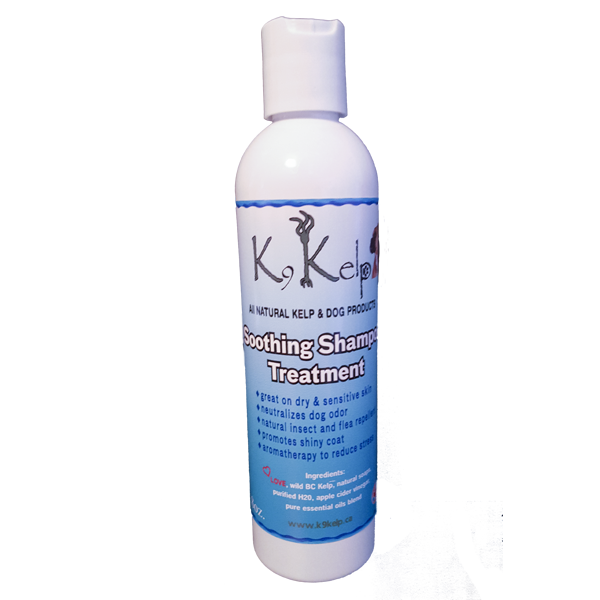 2 ounces of Kelp Shampoo. 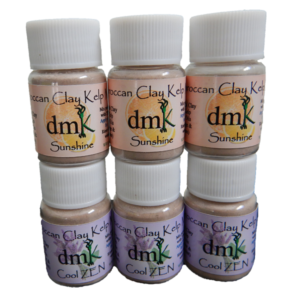 LOVE, Natural soap, Apple cider vinegar, 100% pure BC kelp, purified H2O, glycerin and special blend of pure essential oils.